Though “family friendly” has several different meanings, in the setting of Nuance Facial Plastics, it means that we welcome your family (and friends!) to join you during consultations as well as treatments, as long as the treatment or safety is not compromised. For the parts of treatments where family members cannot be in the room, we will entertain them outside while you get your “me” time during your treatment. This is a common practice with our Botox and filler treatments, and also works well with aesthetic treatments such as dermaplaning. Most of our laser and light treatments take around 20 minutes, and by the time your little ones have fed our fish, counted the starfish, found our elusive Red Fish (who is unfortunately named), and kneaded the Play-Doh, your treatment is done. Being a parent of young ones myself, I recognize the barriers that having a short person in tow can present, and we want to lower the barrier to taking care of yourself. With young children, there are several situations where having childcare arranged is necessary. We don’t want to be one of those situations. Especially when we have simple solutions, such as a stash of (clean) toys and Play-Doh to keep the little ones busy, as well as a mesmerizing mini reef aquarium that can hypnotize even the most energetic children (for a few minutes, at least). 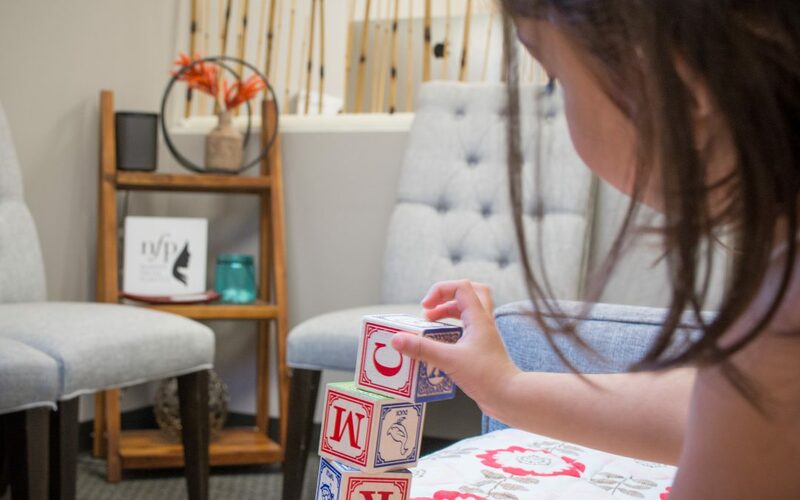 Let us know that you are coming with your child, and we will schedule extra time for the treatment, as we understand that things happen (and that your child may decide they are hungry upon your arrival to the office). What Treatments Can I Get if I’m Pregnant? Unfortunately, there are not a lot of treatments we can do safely to pregnant patients. We can have consultations about how to treat your skin after your family grows, but we shy away from offering treatments that pose even minor risks to your developing fetus. What Treatments Can I Get While Breastfeeding? We have many more options once your child has graduated to the stroller. Though many practitioners will treat with Botox and fillers while breastfeeding, I personally shy away from this. Safety first. The treatments that I focus on here are ones that do not involve numbing creams, injected lidocaine, or Botox, all of which have the potential to be passed to your child through the breast milk. Granted, these are theoretical and have not been studied, but until they have been studied and proven to be safe, I would wait. The most popular treatment is the IPL Photofacial to address uneven skin tones. It involves bright light pulses delivered to the skin to improve rosacea, spider veins, and pigmented spots, all of which can be put into overdrive by the hormones of pregnancy and lactation. Treatments take 20 minutes, involve no numbing creams or medications, and have little or no downtime. You walk out of the office looking the same as you did walking in, though with an added layer of sunblock. The next treatment is the Weekend Peel, which is an erbium laser procedure that focuses on skin texture and pigment spots. This treatment leaves you pink for up to 48 hours after the procedure, followed by a gradual peeling that takes place over the following 3 days. This utilizes no numbing creams, but rather uses a Zimmer chiller to cool the skin during treatment. The procedure takes 20-30 minutes and you leave the office with a layer of Aquaphor on your face. The vibrancy and thickness that the skin gets from this treatment is unlike other results. It pairs well with the IPL, and can be done as soon as 2 weeks after an IPL as a combination treatment for skin tone and texture. Dermaplaning is the last step of our post-pregnancy skincare routine, as removing the outer layer of skin cells can have great results on its own, or even better results when combined with laser and light procedures. This medical-grade exfoliation also helps skin care products penetrate the skin better, which amplifies the results you get from your safe skin care. What Skin Care is Safe With Breastfeeding? The skin care we recommend after pregnancy is usually aimed at controlling the melanocytes, the skin cells that produce pigment. This can reduce the “damage” that is done by melasma, or the “mask of pregnancy”. The ideal treatment of this involves strong steroids, vitamin A derivatives (tretinoin, or a super-charged cousin of retinol), and hydroquinone, none of which are safe with breastfeeding. This is the combination of medication we use once you are done breastfeeding. While you are still nursing, however, we start you on SkinCeuticals Discoloration Defense, which is a medical grade skin lightener. This works well with a topical Vitamin C serum, such as the SkinCeuticals C E Ferulic, or Obagi Professional-C Serum. The original post from Dr. Kundaria can be found on Quora by clicking HERE. You can’t stop your skin from aging, but to make it show it’s ageless and to lessen the effects of age, there are many good options. In my facial plastic surgery practice, I spend a LOT of time talking about skin care with my patients, as many of them have the same concern you posted in your question. Protect your skin from the sun. It doesn’t matter what skin type you have, just protect it with high SPF (40+) and reapply it after 2 hours if you’re in the sun. Use whatever face washes, moisturizers, and non-medicated products you want. There are several good options to choose from, and I would not spend a lot of money on these despite what everybody on this site and Instagram is trying to sell you. Use a Vitamin A derivative. This means retinol, and tretinoin (Retin-A). Retinol is available over the counter in its weaker forms, but the prescription strength Retin-A is much much better, and there are a couple of products (Renova and Refissa) that are formulated with an emollient or moisturizer to balance the drying effect that these products have on your face. Don’t skimp on this product. Get a good one and use it regularly after the “break-in” period of getting your skin used to it. I tell my patients to start out with once weekly use for 2 weeks, then twice weekly use for 2 weeks, then every other day use after that. If you can use it more often, then that’s great. Some people can’t do this because they get peeling. Either way, if you’re worried about skin aging, then this is the holy grail product. Use a Vitamin C serum on your face. This is applied right after you wash your face in the morning, and there are several good products to choose from. SkinCeuticals C E Ferulic is “the best” because they have done scientific studies against their competitors and have shown superior results based on clinical studies. To treat or prevent age spots, sun spots, or pigment changes, a 4% hydroquinone product works very well. In fact, it is the gold standard skin lightener. The Obagi Nu-Derm system uses this, as do many other products. It is not available everywhere, and it is a prescription product in the USA, so you need to get it prescribed or buy it from a doctor’s office. Weaker strengths of hydroquinone can be found in over the counter products, but do not work very well. Microneedling treatments can help stimulate collagen in the dermis, giving your skin a “vibrant” look and feel. It thickens the skin, because collagen attracts water, and by thickening your skin, the fine lines and wrinkles are reduced. Laser Resurfacing procedures treat both the deeper skin to stimulate collagen production, and the superficial skin to even out skin tones. They are best done in combination with a medical grade skin care regimen and can have dramatic results. My laser patients are some of the happiest patients in my practice. I have experience with fractional erbium laser resurfacing, as well as fractional CO2 laser resurfacing. Both can give great results when delivered by experienced hands, and can “turn the clock back” unlike any other treatment. To get the most out of it, pre-treat your skin with a Retin-A, 4% hydroquinone, and vitamin C serum, and resume this after treatment. It’s the “magical” 1–2 punch that whips your skin into shape. IPL Photofacials can reduce the pink coloration that some people can develop over time. Rosacea can be a difficult problem to solve, and IPL is a great solution that treats this with zero to minimal downtime. They also have the added benefit of treating sun spots, or age spots, and have a modest effect on collagen production to improve skin texture. This is the best option for people that cannot tolerate the downtime from a laser procedure or a medium depth chemical peel, though often times multiple treatments are required. Chemical peels work very well by disrupting the skin surface cells and replacing them with younger, more vibrant skin. Superficial peels to keep your skin looking great are for maintenance. To treat the skin, then a medium to deep chemical peel can deliver much better results, though there is a downtime associated with the healing. The deeper the peel, the longer the downtime, and the better the result is. There is no cheating this equation. I know the list is long, but I wanted to make sure that the information was good and accurate. I try to mention brands as little as possible, as there are many good brands and products. For medical grade products, go to a doctor and make sure you are getting prescription strength. There is a false idea that the “half strength” that you can buy over the counter is “half as good” as the prescription strength product. I have not found this to be the case. Though it’s better than nothing, many times it just isn’t strong enough to deliver the results that you can get from proper prescription strength products, which often times end up being cheaper than the stuff everyone is trying to sell you on Instagram. Natural solutions are great when they work (in cases like vitamin C serum), but I don’t spend too much time trying to be “natural” with my recommendations when people come to see me for results. I focus on products that work and leave the non-medicated stuff (the “feel good” moisturizers and toners) to my patients. After our previous Blog post, Jawline Sculpting, Part I: Chin and Jawline Augmentation, the natural follow-up would be about reducing the jawline. Why reduce the jawline? There are multiple reasons. In my practice, the two reasons that people mention are to make their face “less round” appearing, and also to reduce the prominence of the jaw. The “round face” can make people feel like their face has “poor definition”, appears “bottom heavy”, or makes them look “tired”. Some patients that complain of having a round face have strong and bulky massater muscles. If you put your fingers on your cheeks in front of your ear and bite forcefully, you will flex these muscles. These muscles can be treated with neuromodulators such as Botox, or one of its cousins, Dysport or Xeomin. The muscles relax as they do in the upper face when treated with one of these products. Just like other muscles in your body, if you don’t move it, you lose it. The muscles atrophy with time if treatments are consistent and take place before the muscles can recover their strength. With this atrophy comes a visual slimming of the jawline. As this area “frames” your face, making the frame smaller can have a profound visual effect, even though anatomically we are talking about millimeters of reduction. A strong jawline can be a masculinizing feature for some people. If this is troublesome, then aside from reducing the muscle, the bone itself can be reduced. This is a surgical procedure where the surface of the bone is actually reduced, giving permanent results that are unattainable any other way. The bony reduction is followed by a prolonged period of muscle swelling, as the area that is reduced is often the place where the master muscle inserts into the bone. Once this swelling improves, the results of the surgery are seen. It can be combined with treatments to relax the massater muscle described above to further reduce the apparent size fo the jawline. Though jawline reduction is not as common as jawline augmentation, if this bothers you, then it can make a big difference. Treating the massater with neuromodulators is something I have personally had done. The millimetres of reduction are visible, and it also came with other, unforeseen benefits. I found myself grinding my teeth less at night, and this gave me a noticeable improvement in sleep quality. This alone made the treatment worthwhile. I have heard of TMJ pain sufferers also having a benefit from these treatments aimed at relaxing the master muscles. 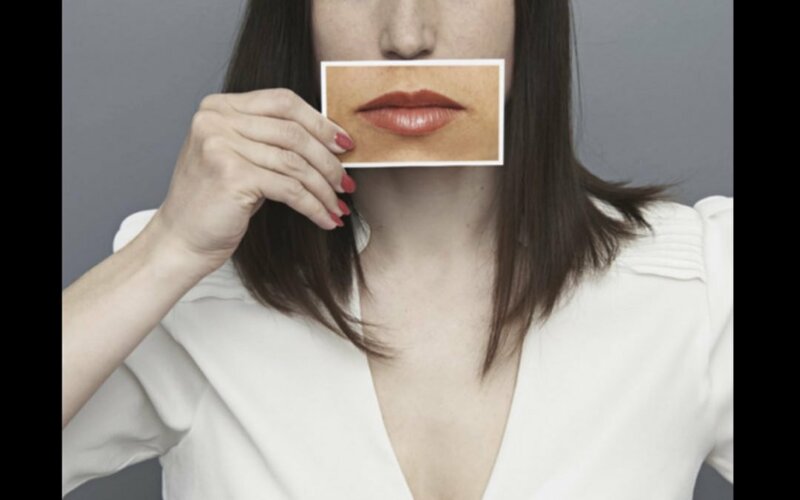 Dr. Kundaria weighs in on several topics for Fashionista.com, including the effects of social media, on his practice as a facial plastic surgeon. Though many patients do not show up for a consultation about their jawline, it is a topic that comes up during my discussions with patients often. Usually, it comes after talking to a patient about their appearance in pictures. Even this is not very telling, as there are many reasons that people don’t like pictures of themselves. This is precisely why I have patients come in with pictures that they like of themselves, as well as pictures that they like less, or even dislike. Analyzing the differences between these can tell a new story. One reason patients would dislike front-lit pictures is what I discuss below. A gentle shadow that the jawline casts on the neck gives a visual and aesthetic separation between these two. Without it, there is an illusion of a “falling face”, or as I have heard it called by patients, a “face-neck”. The “face-neck” is a large, overriding structure that is both physically large and appears even larger. 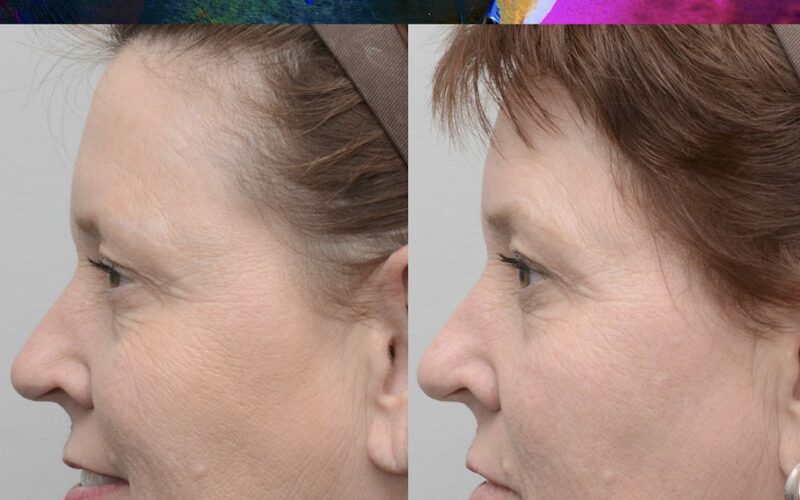 What these patients can really benefit from is contouring around the jawline so that a gentle shadow is a cast, and an aesthetic separation is added. In my practice, there are three areas to anatomically address for augmentation. The first is the chin. Chin augmentation can have profound effects on facial balance. The chin can balance a face with a prominent nose, or give a sense of harmony to a “top-heavy” feeling face. It also can lengthen the apparently short jaw, which can straighten the front of the jawline. The second area that can be augmented is the pre-jowl or the area just to the outside of the chin. This is a common area of bone loss in an ageing face, and in a patient with a strong chin and mandible, can be augmented with great results. The last area that can help straighten the jawline is the angle of the mandible or the corner the jawbone makes in front of the ear. While this is not an area that can take a lot of volume, a light augmentation so that the shadow that the jaw casts on the neck is longer and starts closer to the ear can look powerful. 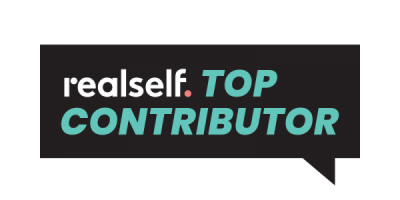 In all three areas discussed above, two good options exist for augmentation: implants and fillers. Chin implants are placed surgically and are permanent augmentation that is placed on the bone so that when you move, the implant moves with you. Most people never notice that the implant is there once the healing is done. For those that are hesitant about a permanent option, undergoing a surgical procedure, or would like a “trial run”, injectable fillers are also an excellent option. Though not permanent, they can give a sculpted look with minimal or no downtime. They can be used to slowly build the jawline in multiple increments, and have the unique advantage of being dissolvable if one wishes to undo the filler. Aside from augmentation, the jawline can be further sculpted by fat removal below the jawline. 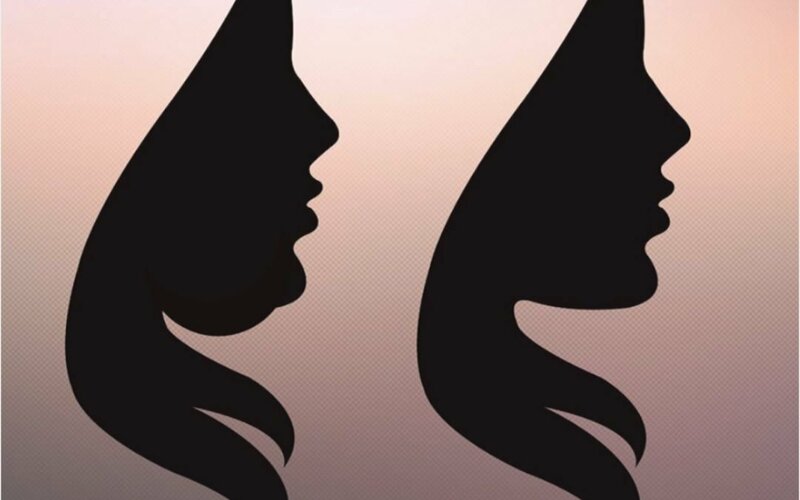 This can mean addressing the submental fat pad (“the double chin”), or the lateral jawline under the jaw bone with liposuction or Kybella, a non-invasive fat removal option. We have a more in-depth discussion about the differences between these options here. Jawline contouring can have a powerful effect on one’s self-image, and there are multiple options to address this, both by augmenting the jawline as well as removing fat under the jawline. Many people can benefit from a combination of the two. Whether it is visible in the mirror or in pictures, there are multiple options to improve a “weak” jawline and to be in control of your own shadows. I’m a new mom to a 7 month-old boy and getting to any appointment these days can be challenging! I had a laser treatment scheduled with Dr. Kundaria and I brought my baby with me to the office. During my 15 minute IPL session, Jessica watched after my son and made my experience so easy! They are very family friendly and I always feel like they provide such a unique experience….and my results have been great too. Dr K is literally the best! He is such a perfectionist and won't stop until you are completely satisfied with your results. As my 40th birthday looms, I am starting to see those lines creep in more and more, so I went to see Dr K about some Botox. He took his time going over everything, what my ultimate goal was, and what he thought would work best. The procedure was quick and painless. He followed up within a week to make sure I was happy with my results. We needed to tweak something just a little bit, which he did free of charge. I am super happy with my results and will definitely be back! 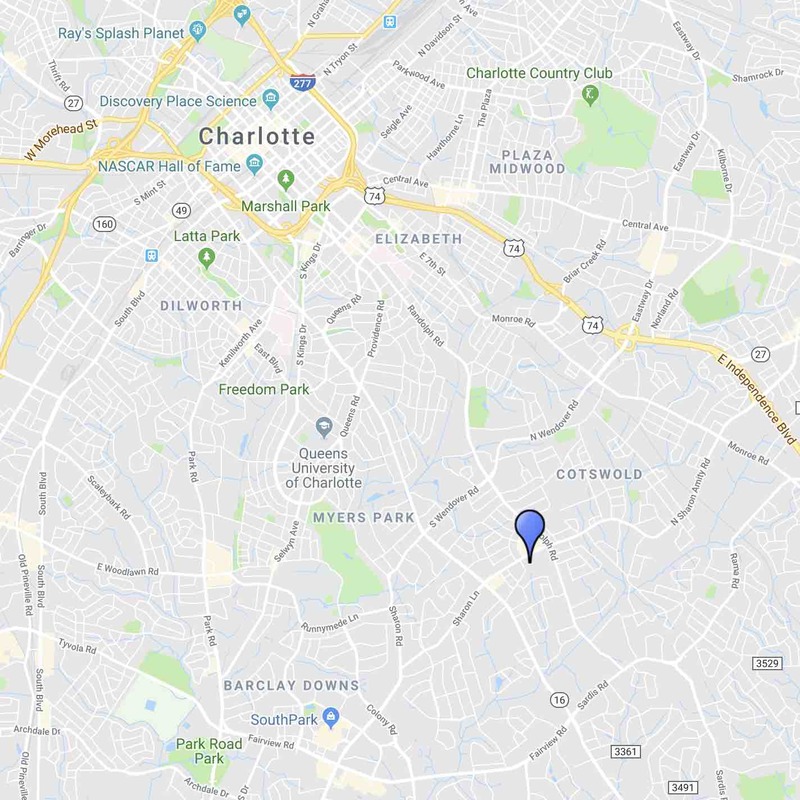 I am new to Charlotte and I went to see Dr. Kundaria for the first time today to get some Botox and talk about potentially getting some facial fillers. I had the BEST experience and can't recommend him enough. I am a nurse and have worked with MANY doctors over the past 8 years and I can say with confidence that Dr. Kundaria is one of the kindest and most thorough physicians I have ever met. He spent a long time talking to me and really listened to my concerns and made thoughtful recommendations. We decided to do just a little Botox and no fillers for now, but if I do decide on fillers in the future Dr. Kundaria will be my go to. He also made some recommendations to help with my under eye redness that he said is most likely due to allergies. He even emailed me the same day with a link to a helpful blog post he wrote all about seasonal allergies and under eye bags. What can I say, he is just the best! If every doctor was like Dr. Kundaria the world would be a much better place. Five stars isn't enough!! Couldn't be happier with my experience and results from Nuance Facial Plastics. From the start Dr. Kundaria and Jessica were welcoming and made me feel at ease. I never felt rushed and he covered any questions I had. I received filler under my eyes and am so happy with my natural looking results. I love how I look and would definitely recommend Nuance to anyone I know. Thank you so much! I had upper and lower eyelift surgeries by Dr. Kundaria last June. My results have been amazing! Dr. K's talent and expertise has given me unbelievable results. The procedure itself was pain free as well as the aftercare. He was very hands on and available anytime before, during and after my surgery which i greatly appreciated. I am 67 years old and this was my first procedure. Now, I want more!! Thank you Dr. K!! First experience getting any injections. Dr. K made me feel so comfortable, answered all my questions, and made sure I looked super natural. His whole team is professional, welcoming, and great at what they do. I can’t wait to go back and see them all again ! They were so extremely helpful when I received lip filler. Educated me on the process and ensured pit result was perfect ! Dr. K, Jessica and Ashley are a great team! I’ve been to them three times now, twice for injections and separately for a mini facial and dermaplaning. Jessica is so friendly and personable, Dr K is amazing at what he does and makes you feel so comfortable and in good hands, and Ashley recommended a great product that has helped with my acne tremendously. I can’t say enough good things about these people! Can’t wait to go back before the holidays! Dr. Kundaria changed my life and is the most caring, extraordinary doctor I've ever been blessed to know. His work is phenomenal, and he has given me the confidence to enjoy life in our world of selfies. Friends keep telling me how good I look, but they don't know why... just the results I'd been dreaming of!!! Great experience with Ashleigh and the Nuance Facial Plastics team! I went to Ashleigh for a Micropeel and Dermaplane. She did an amazing job and very knowledgeable about skin care. I love the results and would highly recommend. Awesome experience! I came in for a consultation to fix a botched dermal filler job I got in a DIFFERENT office. Dr. Kundaria was so kind to take on this problem even though it was not his work. Luckily for me, he was able to effectively dissolve the filler. I could not be happier with the results and look like myself again!When I asked him about other treatments/surgeries he was very informative and spent a lot of time answering ALL of my questions in great detail. I was really impressed with his bedside manner. He is a very sincere and genuine doctor. It was evident he truly cared for me as his patient and $$ was no concern to him. I would highly recommend Dr. Kundaria and was very happy with the care I received from him. From the time I entered the door, the staff made me feel very welcome and relaxed. The ladies in the office are inviting and are helpful in answering any questions. Since this was my first time receiving botox I had many questions about the different brands used and what would be the best technique for the result I wanted to achieve. Dr. Kundaria took time to explain the differences and what would work best for me to achieve my ideal results. The process was rather quick and nearly painless. Dr. Kundaria again explained what is normal for me to experience in the coming hours up to the coming weeks after the procedure. I did call with a follow-up question a few days later. Dr. Kundaria called me back within 10 minutes (that's unheard of at a doctor's office normally) and answered my question with ease, he even said I could call back at any time if I had further questions.Overall, I would highly recommend this practice if anyone is considering botox or fillers. The staff is educated, polite and professional. They made me feel at ease for a first timer. I will be returning for subsequent visits and look forward to being a long-term patient! Dr. K is really amazing. He is incredibly down to earth and tells you all the in and outs of whatever procedure you are considering. I had Erbium laser resurfacing of my face and I am SO thrilled with the results! I just had it the beginning of March and he told me it would take a few months to really see the results, but each week that goes by I notice it getting better and better and people are starting to comment on how great my skin looks. That has never happened before to me! I will continue having treatments with Dr. Kundaria and his team and can whole heartedly recommend them!! I met Dr. Kundaria last year and was very impressed at how warm and welcoming he was! I have never had cosmetic procedures on my face so I was extremely anxious. He answered all my questions and I immediately felt relaxed. I've been very happy with my results and I send all my clients and friends to him now. He's great!! Dr. K has been helping me get my face wedding ready! His treatment plan has greatly improved the smoothness and color (less red, age spots etc) of my face. I am so excited that I will be camera ready for the big day and would highly recommend visiting Nuance Facial for any plastic surgery needs! I visited Nuance Facial Plastics to have the little veins/broken capillaries + a tiny red spot (mini cherry angioma) above my lip treated with the Vascular Laser. Post treatment, I was left with a very small "purple" spots where the laser froze the capillaries and cherry angioma. This stuck around for close to a week and ever since its as if nothing was ever there! I'm so happy with my results and will definitely be going back to get rid of anymore of those pesky little veins. Both Dr. Kundaria and Jessica are incredibly friendly and make coming into the office fun and laid back experience! I had an amazing experience with Dr. Kundaria. I wanted to still look natural and like myself but refreshed. He listened to my concerns carefully and was able to give me the exact results I wanted with Botox. I don’t look tired anymore, my eyebrows are now even, and I am now able to apply less makeup and still feel and look great. I highly recommend Nuance Facial Plastics to anyone. Not only is Dr. Kundaria the best but his staff is super friendly, professional and very accommodating. They make you feel like part of their family and that’s important to me as well. Fabulous Dr. and staff! I drive an hour to receive Botox injections because I am always treated well and receive great results! If you are looking for a trustworthy plastic surgeon that is honest and professional this is the place for you. Great experience. Informative regarding procedure, good ambience, good following post op. Cannot say enough. He is THE doctor to see. CANNOT be praiseworthy enough.Kudos for my favorite doctor EVER. Patient, goes the extra mile and, most importantly, does.a fantastic job. Every.person that.knows.him has the highest.regards.and.that is really saying something. I had a first time visit with Dr. Kundaria today and couldn’t be happier! The office space was bright, welcoming and very clean. Jessica at the front desk greated me with a smile and was very helpful in starting the paperwork. Check in and check out was seamless and easy. Dr. Kundaria was very informative and easy to talk to answering a ton of questions during my consultation. I opted for a same day procedure today and am so glad I did! The doctor thououghly explained everything he was going to do before hand and as he did it. He was gentle and cautious and I couldn’t be happier with my results. Thank you Dr. Kundaria!!! I had a first time visit with Dr. Kundaria today and couldn’t be happier! The office space was bright, welcoming and very clean. Jessica at the front desk greated me with a smile and was very helpful in starting the paperwork. Check in and check out was seamless and easy. Dr. Kundaria was very informative and easy to talk to answering a ton of questions during my consultation. I opted for a same day procedure today and am so glad I did! The doctor thououghly explained everything he was going to do before hand and as he did it. He was gentle and cautious and I couldn’t be happier with my results. Thank you Dr. Kundaria! If ever you are looking to have any facial work done, be sure to see Dr. Kundaria first! He did an amazing job answering the thousand questions I had, which erased any hesitation that I could have had. His demeanor was very friendly and relaxed and he explained everything so I would thoroughly understand it. He was also very honest about what I did and did not need to have done. He was clearly there to help me and not just push procedures and products on me. I felt as though he truly cared about ensuring that I was completely satisfied with my results. We have tons of Plastic Surgeons in the LKN area and it is well worth the 45 min drive to see him. I would highly recommend him. Dr. Kundaria and his staff are friendly, knowledgeable and professional.Just as their name implies, Nuance focuses on small changes that make you look your best! No fake or unnatural looking results here! I just had botox today and lip fillers done. As painless as possible and I will definitely be back!! I had such a wonderful experience at this office. They made me feel so comfortable and answered every question I had about my procedure. So far my results have been fantastic and I can't wait to see what the final result will be! I would highly recommend Dr. Kundaria and his staff! I've known Dr. Kundaria for a couple of years, both as a patient and as a coworker. He is a skillful and caring surgeon that listens to his patients and delivers fantastic results. I've recommended him to friends/family and they have been equally impressed. Just this morning I had laser hair reduction and laser treatment on several here broken capillaries. Dr. Kundaria made the experience easy with a very a comfortable atmosphere. His expertise and the explanation of each step calmed all the nerves. The Office Staff are generous, kind and very personable. I am sure to repeat this process in the future. Thank you so very much. I had a great experience in the office today. As soon as I walked in I felt immediately welcomed by Noelle. She did a great job of helping me understand the process before I began. Today I had laser hair removal done Cindy Roberts. She did a wonderful job by explaining me step by step of what she was doing. That made me feel really comfortable as I sat in the chair. Dr Summit Kundaria worked on my upper lip for the hair removal and explained how everything works and what I should do once I walked out. Over all you can tell how each employee values customer care and the quality of their work. I would definitely recommend this place. Dr. Kundaria is amazing. I've had two procedures and the natural results have surpassed my expectations. Dr. Kundaria made the perfect recommendations. He an Noelle read my mind. He is kind, gentle and caring. I never felt rushed. He takes a lot of time with you. I trust him implicitly. I love everything about Nuance Facial Plastics. Noelle makes you feel so comfortable and welcome. She is very knowledgeable. It is a calm, serene and private environment. I would highly recommend Dr. Kundaria. I received Dysport injections from Dr. Kundaria and he was absolutely amazing! My results were perfect and I didn't need to go back for a touchup. Not only that, his staff, Noelle Thomas, was absolutely amazing as well! They both make you feel comfortable and like you are a part of their family! I highly recommend Dr. Kundaria to anyone that is looking to get affordable injections, where the results are amazing!